Drone footage uploaded on social media by Aleppo Media Center (AMC) purports to show destroyed buildings and rubble on the streets in Al-Shaar neighbourhood in eastern Aleppo, Syria. 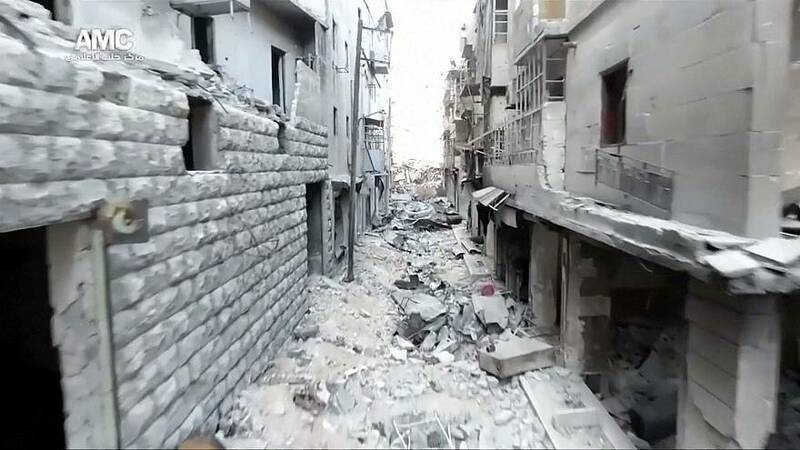 The video appears to show the complete destruction of the district, with some buildings razed to ground and streets filled with rubble. Most of the area appears to have been abandoned. Environmental activists blocked the entrance to the London Stock Exchange in the final day of protests aimed at pushing the UK to act faster to avert what they claim will be catastrophic climate change.